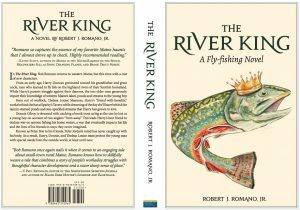 Author Bob Romano will attend the International Fly Tying Symposium to promote and sign copies of his new book, The River King. The International Fly Tying Symposium is set to be held November 17-18, 2018, in Parsippany, NJ. The River King by Robert J. Romano Jr.
Years ago I spent an evening sharing a stretch of river with a young angler new to the sport. 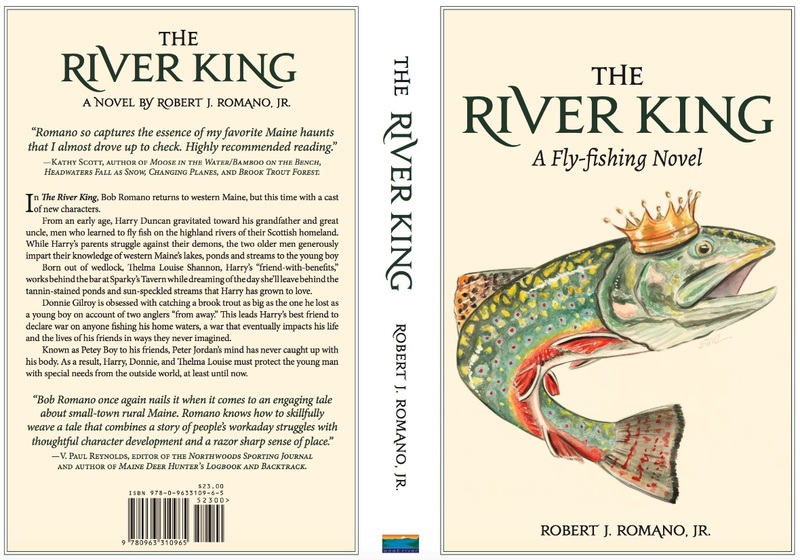 As the caddis danced and the sun dropped below the pines my young companion commented; “This isn’t about catching fish, is it?” Robert Romano’s latest novel The River King, is like that: A fishing book that’s not about catching fish! The River King is a page turner and each page turned encourages, invites, excites the reader to put finger to paper in anticipation of what will unfold, It’s a Good Read! Romano’s cast of characters, although unique to the Rangeley Lake Region of Maine could be found in any of the hundreds of small towns avid Sports chase trout. As I turned pages I found myself thinking of Traver’s Danny and The Boys, Harrison’s Brown Dog and Harry Middleton’s The Earth is Enough. Like titles that are read, safely stored on a bookshelf to be taken down again and again to be revisited Romano’s characters and their stories took me to a special place. A place where a fisherman is about to land a memorable fish, a trophy, while the guide patiently awaits with landing net in hand. While reading The River King I found myself wondering not about the guy with the fly rod but rather the fellow holding the net. Over the years I have been fortunate to have shared time on the water with some “Pretty Good” guides. I have listened to their stories, shared a beer and eventually been gifted with their friendship. At the end of the day, while storing tackle and the boat you’ll hear them talk about life away from the water. They’ll share stories of girlfriends and wives, guide wars, successful or sick kids, the rising cost of the angling business, mortgages and more. Romano’s novel, The River King, is more than a book about fishing in Maine. Rather it’s a testament to all the hardworking men and women who add so much more to the sport of angling. At the end of the day Bob Romano knows time spent in the company of the right kind of folks enable the average angler to return home from the water a River King! I look forward to Robert Romano’s next book!